Creating awareness of the impact of rheumatic diseases is critically important. May is recognized as National Arthritis Awareness Month, a time to raise awareness of the disease that impacts millions of Americans. 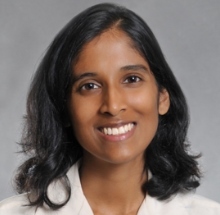 In honor of Arthritis Awareness Month, Aruni Jayatilleke, MD shares a rheumatologist’s perspective and the importance of public awareness. How common are rheumatic diseases? The numbers may surprise you. We tend to think of rheumatic diseases as rare, but the answer is that about 1 in 4 American adults have been diagnosed with arthritis or other rheumatic conditions. The Centers for Disease Control predict that this number would continue to rise, and by the year 2040, about 78 million US adults (26% of the population) would be diagnosed with a rheumatic disease1. Of these, osteoarthritis is the most common type, affecting about 26 million US adults2, followed by gout at 8.3 million3 and fibromyalgia. Autoimmune conditions are less common but still affect a large portion of the population, with about 1.3 million US adults diagnosed with rheumatoid arthritis and anywhere from 200,000 to 300,000 with lupus4, not to mention illnesses that mostly affect parts of the body separate from the joints, such as vasculitis or myositis. Our terminology may be partly at fault for our lack of arthritis awareness. The old-fashioned term “rheumatism,” meaning pain in the joints, still influences our understanding of arthritis. We tend to think of arthritis as the aches and pains of aging (or on the other end of spectrum, as “growing pains”). Some conditions become more common as we get older, including gout, osteoarthritis, and rheumatoid arthritis. But many rheumatologic conditions affect young people, too: 7% of US adults age 18-44 reported being diagnosed with arthritis1. Rheumatoid arthritis can affect 0.2% of people in their 20s and 30s, and up to 10% of people in their 40s have knee osteoarthritis that can be seen on X-ray5. Due to a lack of understanding, we may disregard symptoms and delay treatment for rheumatic diseases, putting ourselves at risk for longer-term joint pain and damage. Rheumatic disease affects a large number of children as well: about 300,000 children in the US have been diagnosed with juvenile idiopathic arthritis (JIA), and many of them will continue to have symptoms as adults2. Is rheumatic disease on the rise? Some types of arthritis, such as osteoarthritis, rheumatoid arthritis, and gout, are more common in older adults, and as people live longer, more people overall will have rheumatic illnesses. Some studies suggest that autoimmune conditions, including lupus, rheumatoid arthritis, celiac disease, and type I diabetes, are becoming more common as well6. Whether this is related to genes, environment, diet, improved recognition or some other factor is as yet unknown, but the subject of a great deal of debate. Unfortunately the amount of money spent on research to look at the causes of and treatments for arthritis, as well as the number of healthcare providers trained in diagnosing and treating rheumatic disease, has not kept pace with diagnosis. Arthritis is often known as a “silent” illness. Despite living with pain and disability, many people with rheumatic diseases look “well.” But these illnesses affect a large number of people—patients, family members, caregivers, healthcare providers, and more—and have a large impact on our lives. By recognizing how common rheumatic diseases really are, we can begin to shed light on these illnesses and remain silent no longer. The Foundation allows investigators from a variety of backgrounds to pursue novel concepts in rheumatology research. Watch this video to learn more about the innovative research we fund. The value of the Foundation’s programming is manifested in many ways. 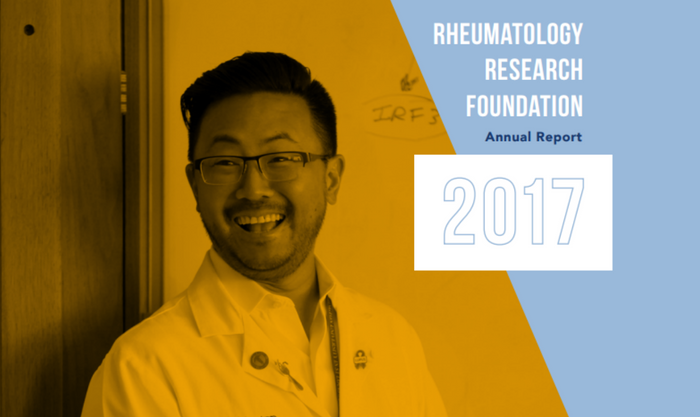 The Foundation’s 2017 Annual Report highlights many ways the Foundation fueled innovation throughout the rheumatology community in the past year. In fiscal year 2017, the Foundation committed more than 10.4 million to support innovative research and training programs. The research spans the spectrum of discovery from basic exploration of biological processes, to translation of new knowledge to clinical practice, to improving population health in our local community and across the country. 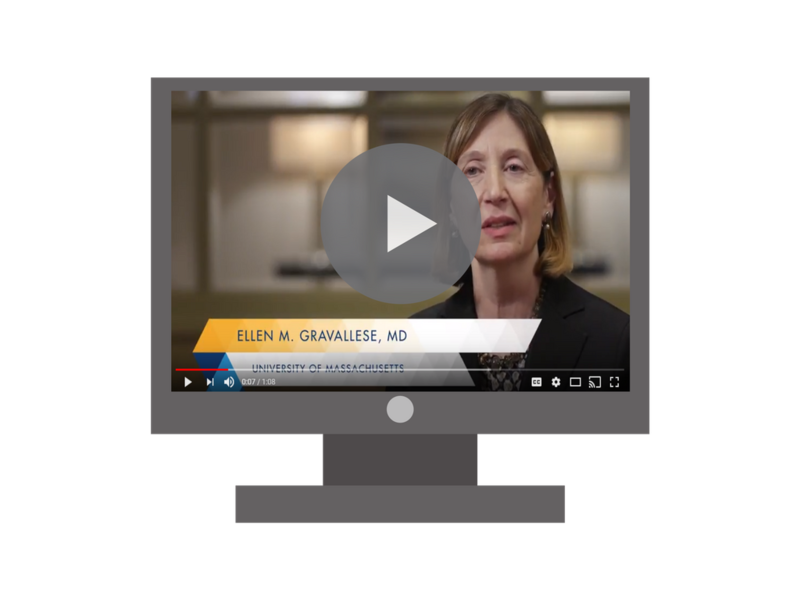 By investing in important initiatives that educate and train the future rheumatology workforce, and support innovative research, the Foundation seeks to improve care for patients. Read the 2017 Annual Report to learn more about the Foundation’s work. 1. Barbour KE, Helmick CG, Boring M, Brady TJ. “Vital Signs: Prevalence of Doctor-Diagnosed Arthritis and Arthritis-Attributable Activity Limitation - United States, 2013–2015.” MMWR2017; 66:246–253. DOI. 3. Zhu Y, Pandya BY, Choi HK. “Prevalence of Gout and Hyperuricemia in the US General Population." Arthritis & Rheumatism, 2011. 4. Helmick CG, Felson DT, Lawrence RC, et al. “Estimates of the prevalence of arthritis and other rheumatic conditions in the United States- Part I.” Arthritis & Rheum. 2008: 58(1):15-25. 5. Anderson SA and Loeser RF. “Why is Osteoarthritis an Age-Related Disease?” Best Pract Res Clin Rheumatol. 2010 Feb; 24(1): 15. 6. Lerner A, Jeremias P, Matthias P. “The World Incidence and Prevalence of Autoimmune Diseases is Increasing.” International Journal of Celiac Disease. 2015; 3(4) 151-155.